Which are the event filters available? 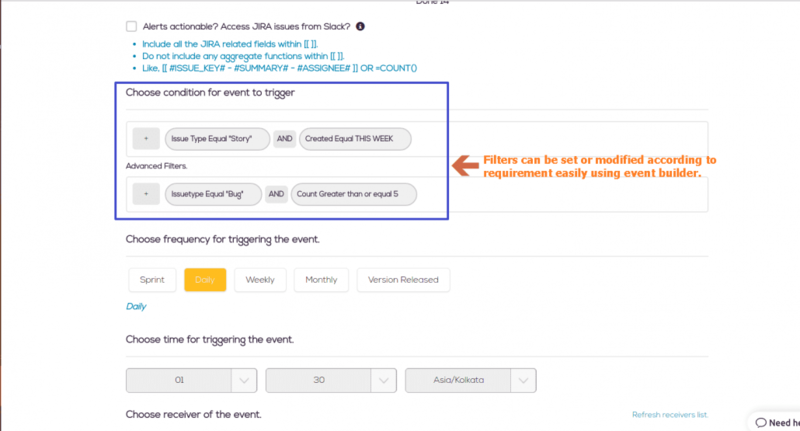 Custom events and field-watcher events provide options to add various filters for events to trigger. These filters can also contain round brackets ( ) to make complex formula. https://alertly.io/wp-content/uploads/2017/11/alertly-purple-beta-logo.png 0 0 Alertly https://alertly.io/wp-content/uploads/2017/11/alertly-purple-beta-logo.png Alertly2017-10-17 05:00:232017-10-17 05:00:23Which are the event filters available? What are extra/advanced filters? What if I want to make a copy of existing event?